As the parent of a promising soccer player, you will play a crucial—and unparalleled—role in your child’s athletic development. 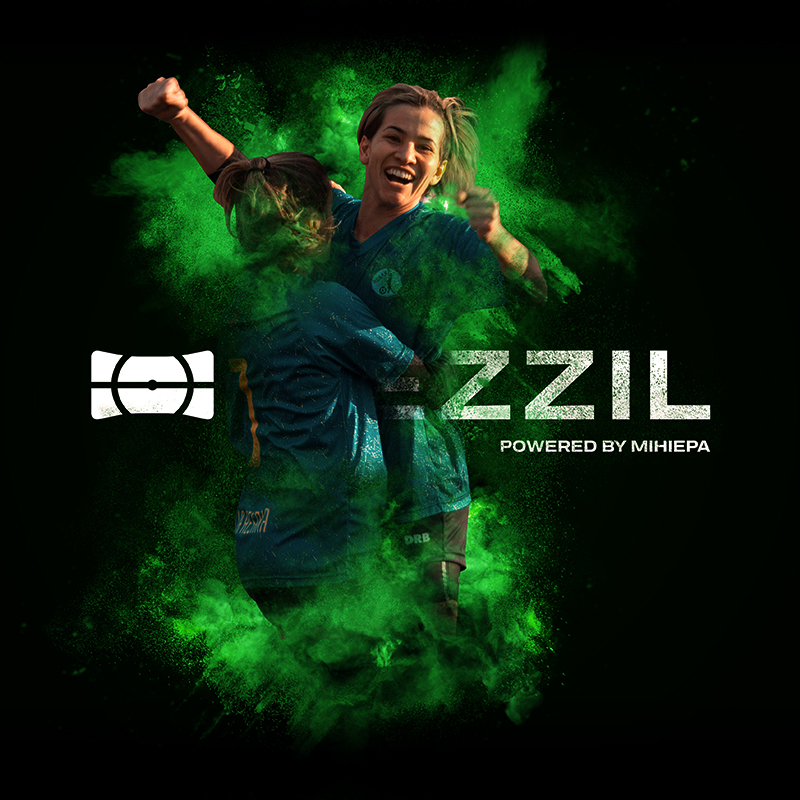 Rezzil Academy is a virtual reality platform that provides tactical and cognitive training that can dramatically improve not only your child’s physical skills, but also their mental sharpness and their ability to stay composed in high-pressure situations. By capturing millions of data points, Rezzil Academy can give you a complete picture of your child’s current abilities, allowing you to identify their strengths as well as areas they need to work on. Then, as a parent, you can cultivate a training environment that measures success not in terms of games won, but in terms of your child’s dedication, hard work, and commitment to self-improvement. In this way, you can show your child your unconditional love while also promoting persistence and the heightened self-esteem that comes with taking on new challenges. Track and Improve Your Child’s Progress with Cutting-Edge Drills. Parents of high-performing athletes give their children all of the tools they require to flourish on the field. This includes necessary gear and equipment, emotional support (like a comforting hug after a crushing defeat), and the exact training needed for task mastery. When it comes to the third area, Rezzil Academy has you covered. Our brain training system consists of five key drills that target all of the skills soccer players need to excel on the field. Rondo Scan: This comprehensive scan provides data about a player’s composure, body form, anticipation, and decision-making process while passing and receiving the ball. This drill helps improve a player’s composure while handling the ball, enhances their ability to anticipate receiving a pass, and increases situational awareness. 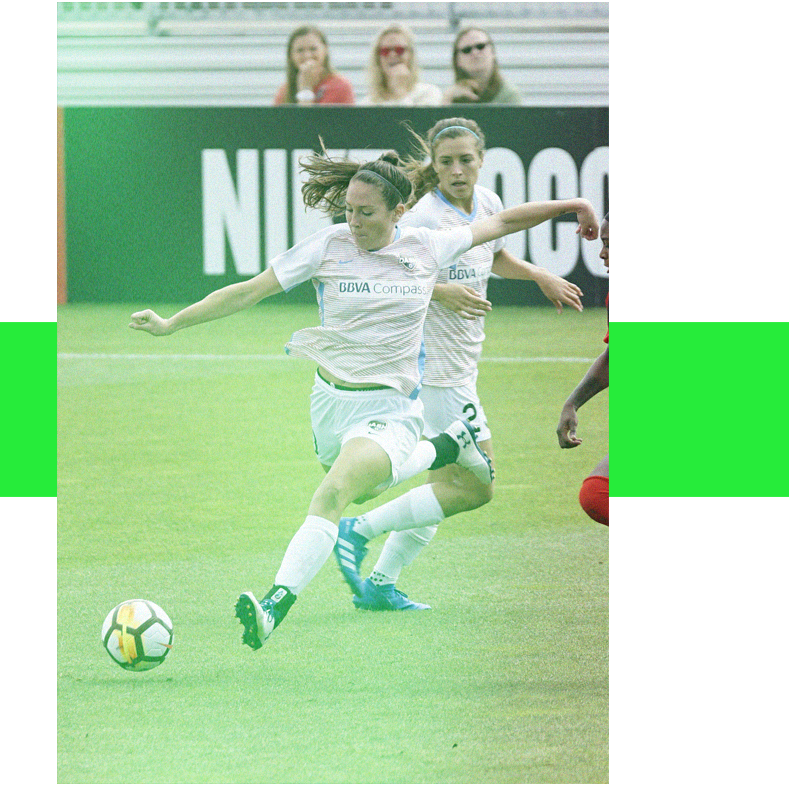 Color Combo: This drill analyzes and improves a player’s anticipation, agility, forward planning, body positioning, and ability to handle pressure to improve composure while dealing with high-stress situations on the field. Pressure Pass: As the name suggests, this intense drill measures composure under pressure. It also analyzes vision, timing of passes, agile thinking, planning, and anticipation. Practicing this drill helps players learn to calm feelings of panic during stressful moments on the field and recognize when they should release—or hold—the ball. Shoulder Sums: Tracking vision, situational awareness, composure, and performance under pressure, this drill helps players maintain possession of the ball by making them more conscious of their surroundings. It also improves their ability to receive and pass under pressure. Head Smart: By tracking a player’s vision, timing, and ability to keep track of the ball, this drill teaches players how to properly time a headed pass and locate open teammates. Harness the Power of Comprehensive, Usable Data While Improving Numerous Skills. The Rezzil Academy platform is not intended to replace traditional touch soccer drills and ball work. Rather, it captures real-time data that was impossible to collect in the past, maximizing the impact of every soccer training session and facilitating accelerated progress. Get objective, impartial information: Coaches who have worked with your child for years may have a good idea of their strengths and weaknesses, but it is impossible to say for certain whether a coach’s “hunches” are completely accurate. 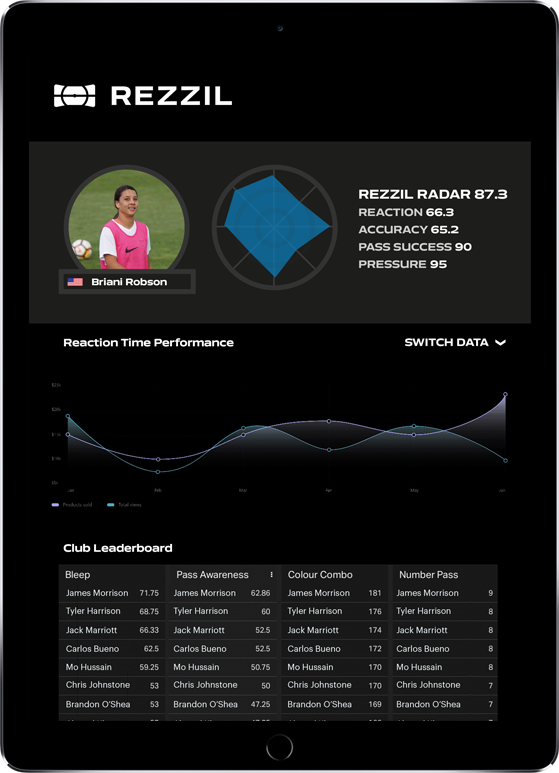 Rezzil Academy provides data that can either confirm a coach’s assessment of your child’s abilities or help them adjust it as necessary. See how your child measures up: Rezzil Academy gives you a baseline for your child’s abilities in a variety of areas and allows you to see how their performance compares to that of their peers. Make informed training decisions: Because Rezzil Academy allows you to quickly zero in on areas that need improvement, you will be able to make the best training decisions for your child, whether that means spending more time working on completing passes or improving situational awareness. Improve skills through repetition: The old saying “practice makes perfect” certainly holds true for young soccer players striving to get to the elite level. Completing our unique drills again and again will naturally result in better performance over time. Get a complete picture of your child’s progress: Our powerful tool allows you to track and view your child’s performance over time, providing a clear picture of what they’ve accomplished with the help of the Rezzil Academy platform. 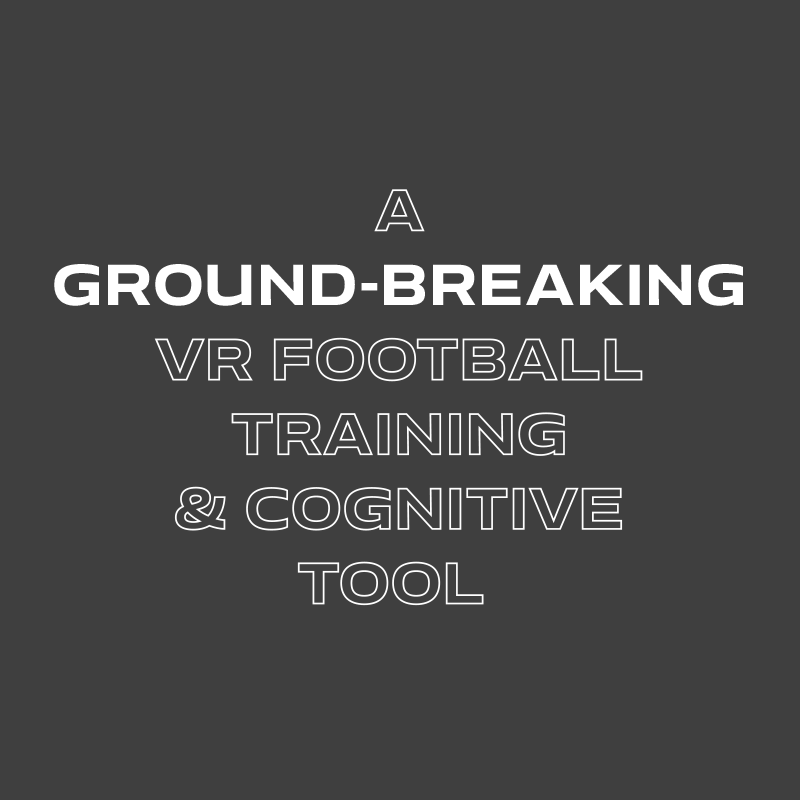 The Future of Elite Soccer Training is Here. Rezzil Academy is a revolutionary and complete brain training system that not only provides a total picture of your child’s current abilities so you can make informed training decisions, but also tracks their progress so you can see for yourself just how far they’ve come. Having access to this information will allow you to be involved in your child’s athletic pursuits without being overbearing, which has been shown to be a key factor in whether a child will enjoy sports and stick with them over the long-term. The Rezzil Academy program provides a clear roadmap for developing well-adjusted, confident athletes who have the ability to sustain high performance under intense pressure, the capability to get back in the game after setbacks, and the mental fortitude to persevere in the face of daunting challenges. Rezzil Academy builds resilience in the athlete when it is needed most: during the last minutes of a high-pressure game.